Schools expect students to study but often don’t teach them effective studying skills or provide any study guides. Knowing how to study and using proper study techniques can make the difference between being a successful student and a failing student. Students who don't do well in school often assume that they aren't smart. But poor study habits may actually be a big factor in their academic struggles. Smart students are students who know how to study and how to remain focused on the material. The following is a list of easy and effective techniques and study skills that can be used by middle school, high school and college students. Skim all material that will be covered in class the next day. Look up the meanings of new words. Don’t worry about actually understanding anything at this point. The idea is to become familiar with new words and ideas before a lecture. Your mind is less likely to wander if you already have some familiarity with the material. If you don’t know what material is going to be covered, ask your teacher in advance. Don’t miss a class or lecture, unless it is absolutely necessary. Take note of concepts that the teacher spends a lot of time on. If the teacher pays a lot of attention to certain topics, they are more likely to appear on an exam. Also, take note of what they skip in each chapter of the textbook. These concepts may be less likely to come up on an exam, so you may want to pay less attention to these when you study. Don’t skip these altogether though. Ask questions about the material you are studying. Then try to answer them. This will help you pay attention and focus on reading. 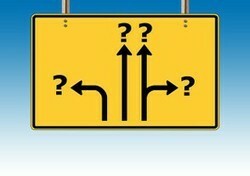 Ask your teacher about anything that is confusing to you. Study in a quiet place with no distractions. Study for about 30 minutes and then take a short break. You will come back refreshed for further studying. Form a study group with other students. You can learn from each other. Regularly review material, so you aren’t trying to cram at the last minute. Invest in a study skills books. These books have a lot of note-taking and exam preparation ideas. Read regularly. The more you know and the better you read, the easier your classes will be. Download iTunes and look for free podcasts in the subject you are studying. These podcasts are in MP3 format, so they can be used on any MP3 player. There are many podcasts aimed at high school and college students. 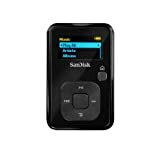 The Sansa Clip is an affordable MP3 player that has a bookmarking feature. Bookmarks are very useful when you are listening to long podcasts. Check your local library for additional books to study from. Textbooks are often poorly written, so it helps to use supplementary material. Something that doesn’t make sense in your textbook may be easier to understand in a different book. Look online for more information about concepts that are confusing to you. Khan Academy is a great free source for Math and Science help. See khanacademy.org. YouTube has many educational videos in lots of subject areas. A good curriculum review gives a prospective buyer a clear opinion of the teaching material and whether or not it will fit her needs. Your local community may have a support group for homeschool families. Should you join? There are pros and cons to joining a homeschool group. Know them before making a decision. Should you name your homeschool? What are the benefits of having a name? If so, how can you choose a good name?